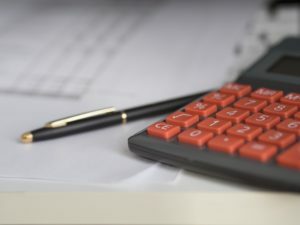 How do I calculate depreciation? Depreciation is used in accounts to reduce your value of a fixed asset over a period of time. There are several different methods of depreciation that a business can use, once you have chosen your method then you will need to use the same method each time. What depreciation methods are there? Straight line depreciation – An equal figure is posted in each period over the lifetime of the asset. Example: A business buys a new computer for £300, which is going to be depreciated over 3 years. Each year the business will show £100 (£8.33 per month) in the accounts. Reducing Balance Depreciation – The depreciation is higher in the early stages of the assets life and then reduces over time. This method is usually used for cars, which depreciate very fast in the early stages of ownership. How long should I depreciate an item for? This will depend on the type of item. For a car it can be the estimated length of time you expect to own it, computers normally have a life span of 2-3 years, but items like furniture and machinery you may want to spread over a longer period. If you are unsure, it is worth seeking advice from your accountant, they can normally inform you of the best method and period to use. How is depreciation shown in the accounts? Each period a value is posted to the depreciation account on the Balance sheet and an expense to the business on the Profit and Loss Account. Take a look at the depreciation accounting section to find out further information on the different methods and also a free calculator. Return from how do I calculate depreciation to bookkeeping basics page.